Breakout alert! 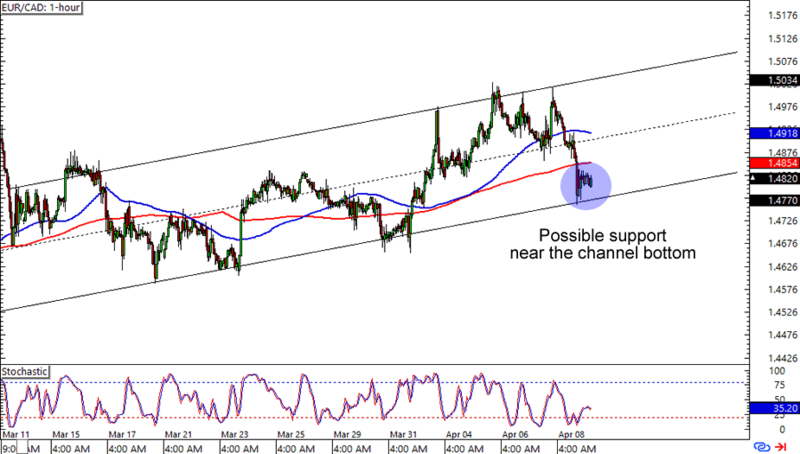 GBP/AUD is forming what looks like a descending triangle on the 1-hour time frame. Not only that, but stochastic is also on the overbought area. Think the pair is bound for a break lower? It’s currently testing the falling trend line resistance, so now would be a good time to sell if you’re one of them bears. Not all triangles like these break to the downside though, so you might want to watch out for a possible move higher too. Here’s one for the trend warriors! EUR/CAD is lollygagging just above the 1.4800 major psychological handle, which is near a rising channel support on the 1-hour chart. Stochastic isn’t any help without any signal, but you can still make a trading plan out of the setup. The bulls can buy at current levels and place stops below the channel support, while the bears can place sell stop orders in case of a downside breakout. Not feelin’ the love for the yen? 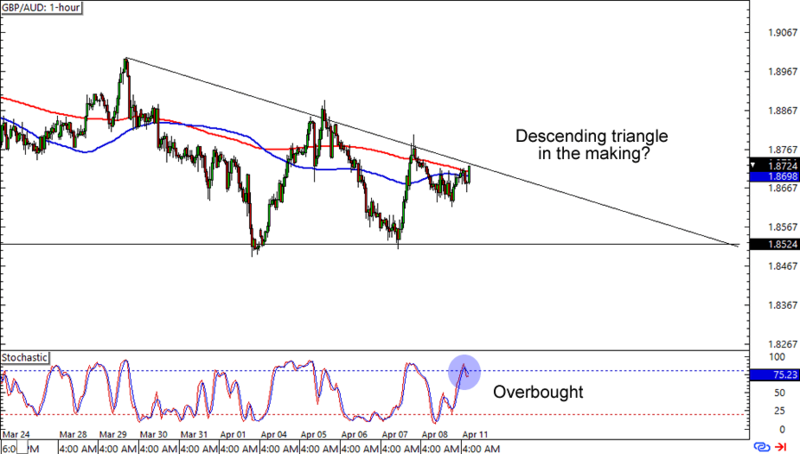 CAD/JPY is testing the 83.50 minor psychological level, which is right smack at a falling trend line resistance AND 100 SMA on the 1-hour chart. Think the pair is in for more losses? 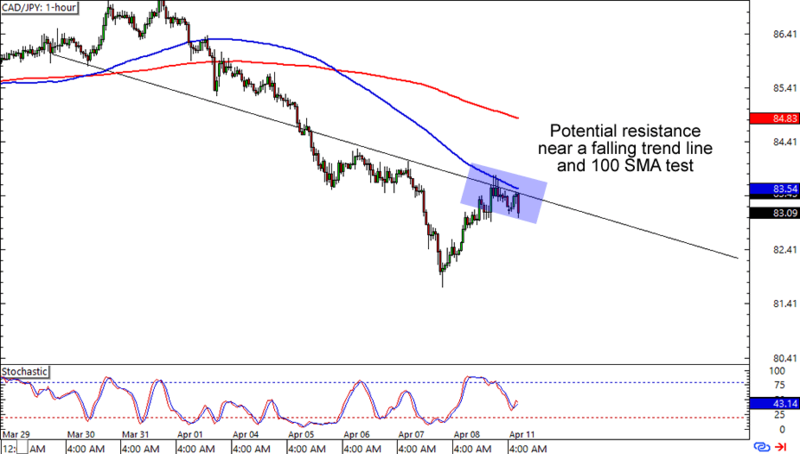 A short at current levels could make for a good trade if you place your stops above the trend line and the SMAs. Just make sure you leave enough room for yen volatility!